Michael Ossmann is making a business out of developing and producing open-source hardware. His latest creation is called HackRF, and in less than a day, it has been fully backed on Kickstarter raising over $290,000 US with 25 days left to go in the campaign (at time of posting). Backers can contribute to this campaign with some confidence as Ossmann has successfully delivered products from Kickstarter in the past. What makes HackRF unique is the fact that the stand alone unit can operate between 30 MHz and 6 GHz; a frequency range substantially wider than any SDR currently on the market. Indeed, when combined with the Ham It Up converter, the HackRF will also cover HF bands and lower. 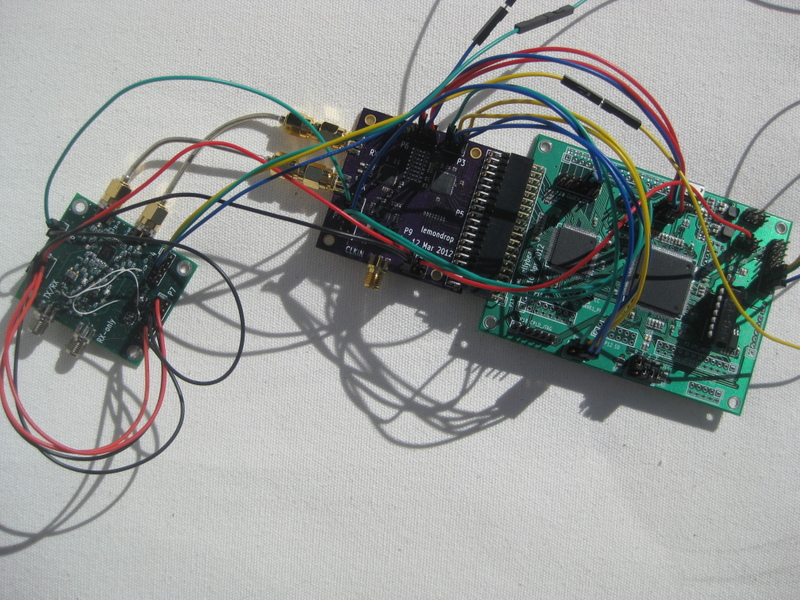 Additionally, HackRF is a fully open-source transceiver; applications are limited only to a developer’s imagination. You could potentially use HackRF for ham radio, radio astronomy, scanning, shortwave radio listening, remote control applications, wide band monitoring, and commercial/industrial applications. If you use two HackRFs in tandem, they’ll even work in full-duplex applications. Check out HackRF technical details and development notes at the HackRF wiki. Source code and hardware design files are available in the latest release packages or in the git repository. Keep up to date with the latest project information by following HackRF on Ossmann’s blog. This entry was posted in Announcements, News, Product Announcements, Software Defined Radio and tagged HackRF, Michael Ossmann. Bookmark the permalink. What do you think about the idea of using a HackRF as a ham radio transceiver? Using sharp, High Q band pass filters to ensure a clean signal, and of course at least a two or three stage RF power amplifier? Perhaps using an upconverter in a bidirectional manner?